Episode I in 3-D? *That* is Why You Fail. by Andrew.In Pop Culture.Leave a Comment on Episode I in 3-D? *That* is Why You Fail. It’s sublimely ridiculous to presume that I can say anything else about Star Wars that has not been said. For many, the very subject itself is boring. I sympathize with your point of view. The movies are as old as I am, and in some way, it’s mere perverse nostalgia to want to argue about them. But I am unable not to. As a boy, I was obsessed with them, the way other boys might have obsessed over comic heroes, folk legends, or warrior sagas. 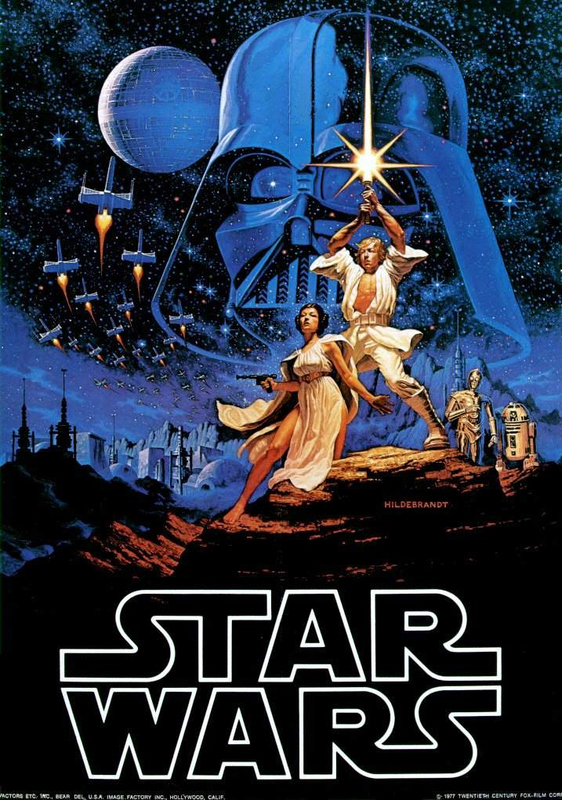 I still remember seeing Episode VI in the summer of 1983, all of six years old, thinking it was the greatest thing that had ever been done. My reverence for Star Wars ensured that I was among the first to see Episode I, at the midnight showing in May of 1999. I was 22, and more that ready to revert back to that excited six-year-old. I wanted awesomeness, which is not what I got. I wanted to believe it was good. I pretended that I thought it was good. It wasn’t good. Neither was Episode II or Episode III. If you like them, fine. I like Weekend at Bernie’s. That doesn’t make it a good movie. The only way to enjoy the prequels is to stare at the spectacle and ignore the utter lack of storytelling, dialogue, or any of the other things that make cinema good. And despite what you may think, the same is not true of the OT. The first films were adventure-fantasy films — lightweight fare, to be sure — but they worked as such. They had protagonists and plots and clear motivations and character arcs and everything. They made sense according to their own premises. No one ever left them feeling obliged to like it. Even my beloved Episode VI, easily the worst of the first three, was bad only in a few forgivable ways. The prequel films don’t work at all. Episode I has no protagonist. Episode II has no plot, and the worst dialogue this side of a Gamera movie. Episode III is lazy and underwritten. As a result, they fail to do the basic things that a sci-fi/fantasy story should do: make the audience connect with the story. All the prequels offer is endless lightsaber fights and matte paintings of stuff blowing up real good. If you like the prequels, then you must think that’s what made Star Wars good. You cannot be more wrong. Star Wars is the moment when a bored and frustrated Luke stares out at the twin suns of Tatooine and wishes that he could be somewhere, anywhere else. It’s when Han Solo ventilates Greedo and tosses money on the bar to apologize, colder than Jack the Ripper. It’s when Obi-Wan reminisces about Anakin’s fall. When Princess Leia snarks about Tarkin holding Vader’s leash, and then is forced to watch her home planet explode. It’s a thousand moments of characters growing and defining what my generation understood the term hero or villain to mean. That last sentence might sound like hyperbole (such abounds in discussing these movies), but to the extent that folk legends inform our ideas, I think it true. And the tragedy of Star Wars is that it has become itself a war, between the audience who love it the way it was and the creator who doesn’t appear to understand why his work became popular in the first place. What was one of the most loyal fanbases in all of cinema now routinely hates the man who gave them their favorite movies. And I suspect that he hates them back. All of which is prologue to me saying that no, I won’t be going to see Episode I in 3-D. Or Episode II or III. If that means that Lucas doesn’t bother putting IV-VI in 3-D, so be it. I’m not even sure that I want to. They wouldn’t be the same movies. They would be Greedo shooting first and Vader yelling “NOOOOOOO!” and the Young Anakin Ghost at the end, which has never made any sense. Those things aren’t Star Wars; they’re lame facsimiles of Star Wars by a man who seems determined to pretend that he’s still an important and vital filmaker, rather than a hack who could steal ideas but couldn’t write, direct, or edit his way out of an empty room. It’s an old story, really, a story as old as any tale of from days of old with heroes bold: a man tells a story so well that crowds of people throw money at him to hear him tell it. And when the crowd asks, “But what happens next?”, he can come up with answers that keep the crowd happy. And they love the story. They want to hear it again and again and again, until the man is sick of the story and wants to tell something else. But he doesn’t know how. He can think of things from other stories that were good, but when he puts them together they don’t make any sense. The crowd doesn’t like them. And he can’t remember how his old story went. He starts telling it wrong, and he doesn’t like it when members of the crowd tell him he’s telling it wrong. He starts telling them that it’s his story, and that this is the way it should be told, and if they — who have heard the story many times — have no right to tell him how it goes. He cannot believe their impertinence, their hostility. He just can’t believe it. And that is why he fails.